The Yuanda Robot stands out with a combination of advanced design and sophisticated technology. 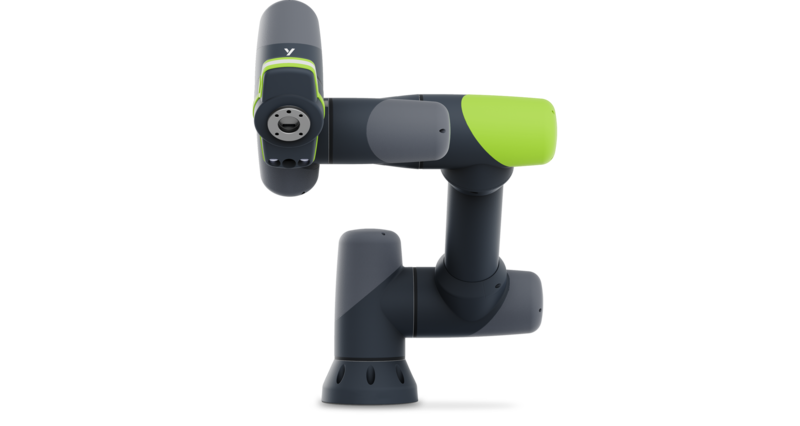 Designed in Germany by an international team of passionate experts, it sets out to define new standards in the quickly growing field of collaborative robotics. Advanced sensor technology ensures safe collaboration with humans as well as the skillful handling of objects. Intelligent learning systems drive automated processes for a wide range of industries. Hardware and software interfaces are intuitive and easily accessible to every user. The robot’s overall ease of use significantly reduces time and cost for setup and integration. Add the Yuanda Robot to your team and experience performance! The versatility of a robot grows with its ability to connect to functional extensions. With the Yuanda Robot, you can enjoy true plug-and-play integration. Not only do we provide an internal hardware interface for third-party peripherals, but our software automatically supports their configuration – you won’t even realize that it’s not a Yuanda component. The control of outside components is seamlessly integrated into the regular workflow. It couldn’t be easier. The experts for gripping systems present the certified two finger parallel gripper for collaborative operations. Controlled over (internal) digital I/Os, the Co-act EGP-C allows transport of small and medium sized workpieces for a variety of applications. Developed by the market leader for vacuum systems, the Schmalz ECBPi is an intelligent electrical vacuum generator for handling airtight and slightly porous workpieces. It offers an integrated interface for controlling and monitoring the process and can be used in mobile robotics, fully automated small parts handling and stationary handling tasks.